TRUSTED PARTNER of Higher Education for over 25 years! 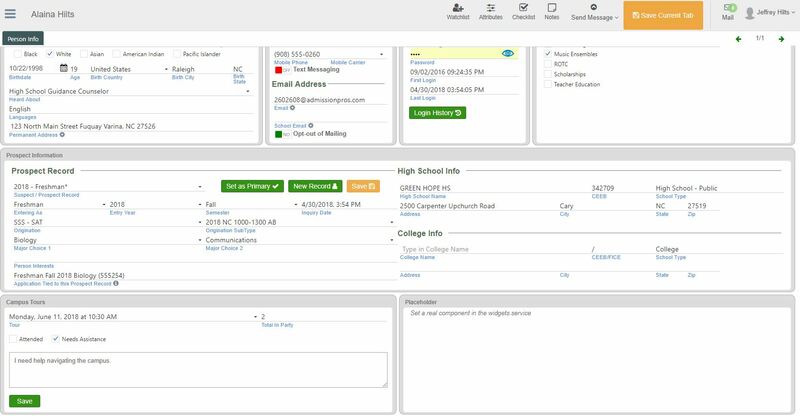 The AdmissionPros CRM includes complete Prospect, Applicant and Administrative Management systems that can work independently, in tandem, or with other on-campus systems to create a fully functional enterprise CRM system. AdmissionPros Systems are fully-integrated student administration and marketing systems, designed to give your users the power to manage prospective student information more efficiently. Our powerful marketing tools manage all aspects of the recruitment, application processing, yield, analytics and communications processes, allowing you to more effectively correspond with prospective students, parents, high schools/colleges, faculty, staff and other university constituents. Our cutting-edge prospect management system will allow you to manage relationships with prospective students from all sources, strengthen your marketing initiatives, and attain your recruiting goals while delivering unprecedented service. By streamlining every aspect of your recruiting process, and maintaining ongoing communication through well-timed, targeted mailings that enhance your appearance, you will become more efficient and visible in the ever-increasing competitive market of higher education. Application Management represents a completely integrated admissions component that will simplify your entire admissions process and allow you to run an efficient, results-oriented admissions office. Today’s students not only expect you to provide them with the ability to apply online through a secure, user-friendly and intuitive application portal, they expect a timely decision and continuous communications throughout their entire application process. AdmissionPros is designed to manage the entire admissions process, allowing you to render and communicate an admissions decision as quickly as possible. At AdmissionPros, we understand that customer engagement is important. Using targeted email, text and print communications, you will optimize message delivery and increase customer satisfaction, while reducing cost. 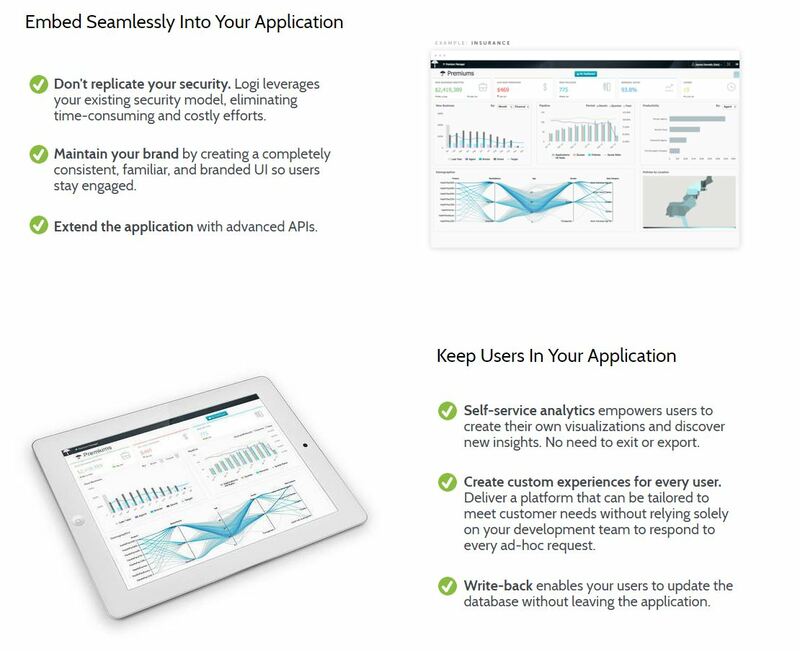 With real-time access to communication analytics – delivery rates, open rates, bounce backs, clicks, etc., tracking the effectiveness of your communication efforts has never been easier. The Campus Tour module works in coordination with the web portal as a means for your prospects and applicants to see tour availability and to schedule their campus visit. System-triggered email communications facilitate the process by communicating automatically with the tour registrant regarding the status of their scheduled tour. You can also communicate on an ad-hoc basis with tour registrants when circumstances dictate a more specific message. AdmissionPros has a completely integrated Event Mangement Module that maintains all aspects of creating and hosting events on and off campus. This robust module provides you with the ability to define custom events, control display of the event information to prospects and applicants, manage your invitees, RSVPs and attendees, and communicate routinely with your event populations. Events Management is built with its own communication module that will allow you to create pre-defined messages, such as invitations, registration acknowledgement, event reminders, thank-you for attending or sorry we missed you. At AdmissionPros, we work with your existing vendors, campus systems and 3rd party data providers to create a fully integrated Applications Mangement / CRM solution. If you work with a vendor that provides you with critical data or communication services, AdmissionPros will integrate with them to maximize efficiency wherever possible. AdmissionPros has been designed from the ground-up to be completely mobile friendly, making it easy to review applications and respond to inquiries. Our admissions module is the core module that streamlines your entire admissions process. We can custom design the module to fit your exact needs. New for 2018! AdmissionPros is happy to provide all of our clients with our new predictive modeling module that will help you better predict student enrollments, based on historical outcomes, and allow you to be more selective in the data you purchase for prospecting. While AdmissionPros has been using a Level of Interest (LOI) indicator for years, the new predictive modeling module takes it even further! 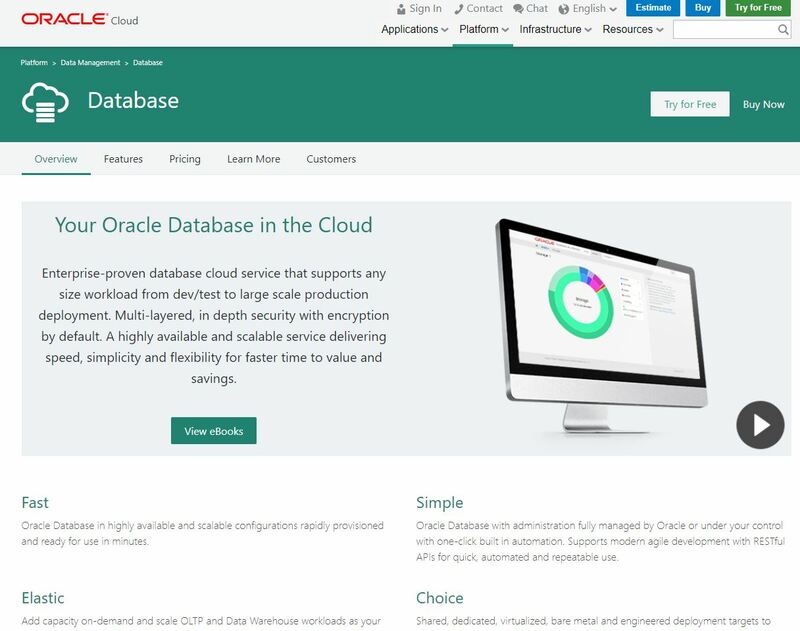 AdmissionPros has established relationships with Oracle Cloud and Amazon Web Services (AWS) for hosting our web and database servers. All of our servers are housed in data centers that have achieved SOC-1 and SOC-2 certifications. These facilities are monitored 24/7 and provide automated fail-over capability. Our Software is "Packed with Features and Engineered for Performance"
How fast can your own internal IT staff learn the new software and build it to your specifications? How many more IT staff positions will you need to hire to complete the design process and build the platform? What is the cost to your program, if you fail to implement an admissions solution that works? Since every University, College and business is different, will an “Out Of The Box” program meet your specific needs? When your "box of CD-ROMs" arrives, will you know what to do next? You Don’t Pay Anything Until Everything Goes Live! 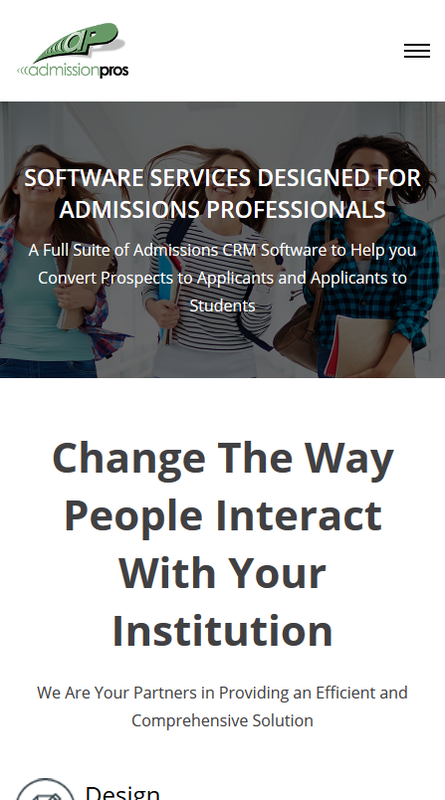 We are your Partners in providing an efficient and comprehensive Admissions CRM Solution....Powerful tools built within a flexible architecture that will meet the needs of your Admissions Office today with an eye toward the future! Every day, you rely upon data to make informed decisions on how to recruit and yield the best and brightest students. Data, current and historical, is the cornerstone of your organization. Having quick access to clean, accurate and secure data is critical to your organization's success. AdmissionPros has 25+ years in providing solutions that address the data needs across the university community. 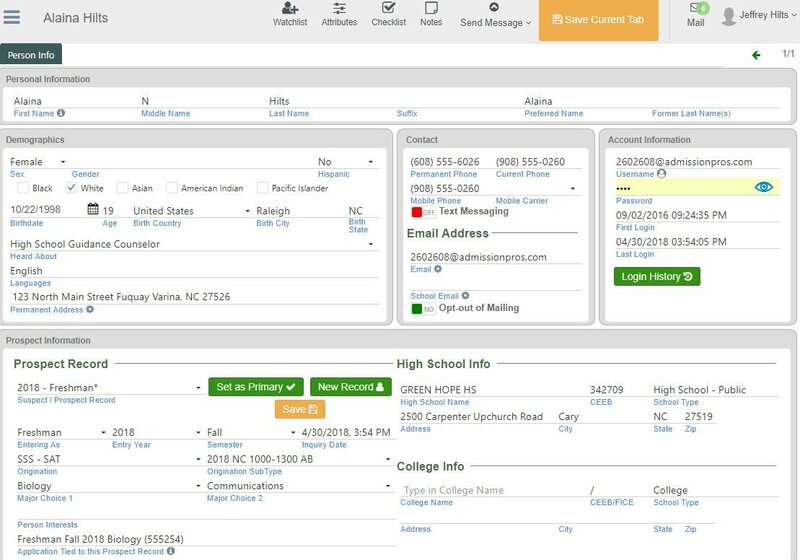 By integrating with your existing vendors, campus systems and 3rd party data providers, AdmissionPros will create a fully-integrated Applications Management / CRM solution that reduces redundant data entry and maximizes efficiency. Technology today offers many options for automated electronic communications. AdmissionPros will guide you through the communication planning process and help you build a comprehensive, effective communication plan that will take advantage of the latest and greatest that technology has to offer. Timing and delivery methods are equally as important as the message you are wanting to send. AdmissionPros Software is designed and engineered from the ground up to achieve optimal performance. Whether you have 200 or 50,000 applications, our world-class infrastructure delivers unmatched uptime, accessibility and performance when you need it most. By eliminating manual repetitive tasks through process automation, you will gain process efficiencies, minimize errors and reduce costs. AdmissionPros will evaluate each step of your admissions process and make recommendations on how to streamline, error-proof and be more cost efficient. AdmissionPros is built 100% around your process. We understand changing directions throughout the design and development process. We will change with you. It’s our goal to provide your admissions staff, prospects and applicants with the most comprehensive, feature-rich system possible. Adapting to change is what we do best. Harnessing both live and historical data, AdmissionPros data mining and predictive analysis tools will help you make better informed decisions. This state-of-the-art Business Intelligence(BI) platform is delivered through a fully-integrated, mobile-friendly platform. So, whether you are in the office or on the road, you will have access to the reporting dashboards you need to make informed decisions. A complete admissions solution was needed to improve several key areas of their admissions process. A better notifications process was needed since their current system was taking two weeks. Lost and misfiled documents were becoming a real problem and they needed a new solution. A nice benefit was also realizing an 11.5% reduction in printing costs! AdmissionPros was essential in our going paperless project. With AdmissionPros, we are consistently improving our processes and communication with students. Campus Tour Enrollments Explode With New Campus Module. While we were only asking for the ability to split apart tours, they came back with a full suite of functionality surrounding the tours. It was a success with over 120 tour guests that day. 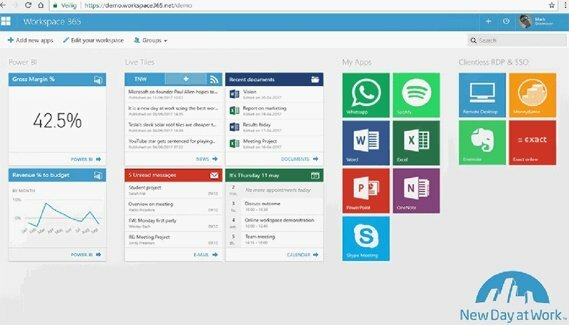 Ready to see how our Admissions Software Solutions can help you better manage your office and grow your numbers?